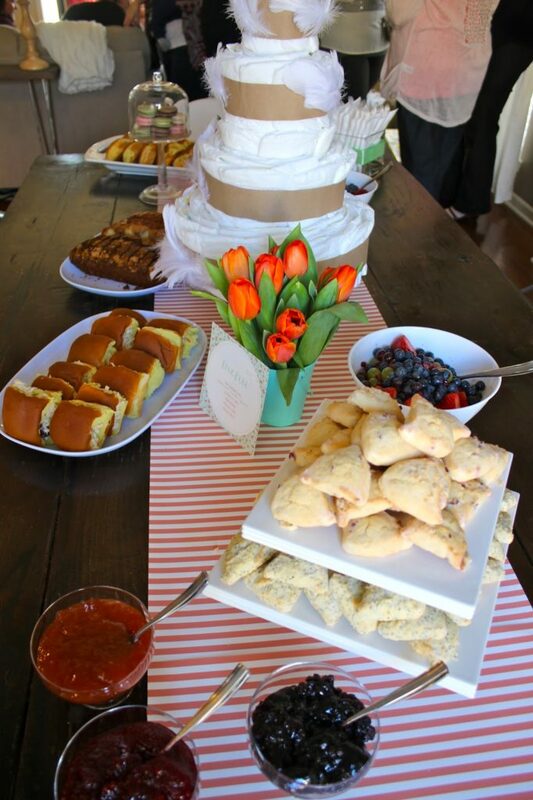 We recently threw our dear friend Lori a baby shower for her FIRST baby!!! There is just nothing more exciting, huh? We have been “planning” her shower since the day she even spoke about a baby. We couldn’t have asked for a better day!! It was the first day of sunshine and warmth we had had in a while, and it was such a mood lifter. Lori loves her “tea time”, especially ever since our trip to JA together with our husbands’ work family. See here for those photos! 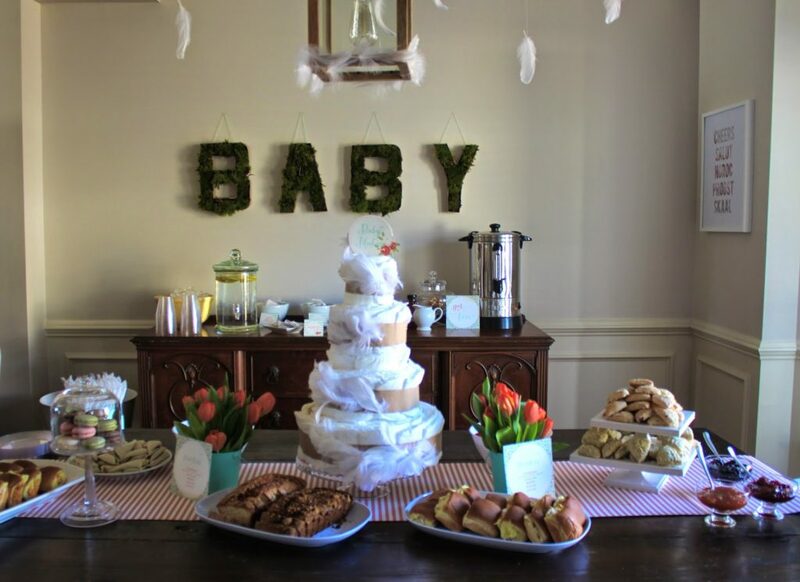 So, we opted for a tea party/stork theme. What more could you need for a beautiful afternoon?…. 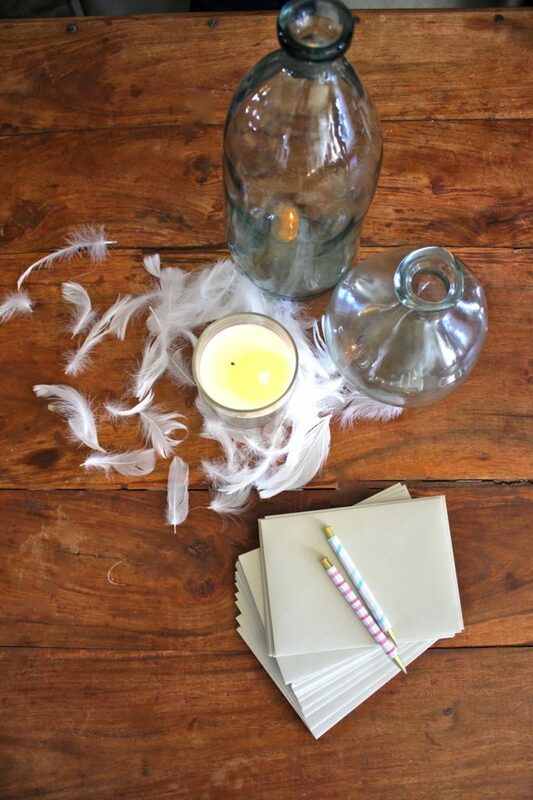 feathers and tea! Ha! 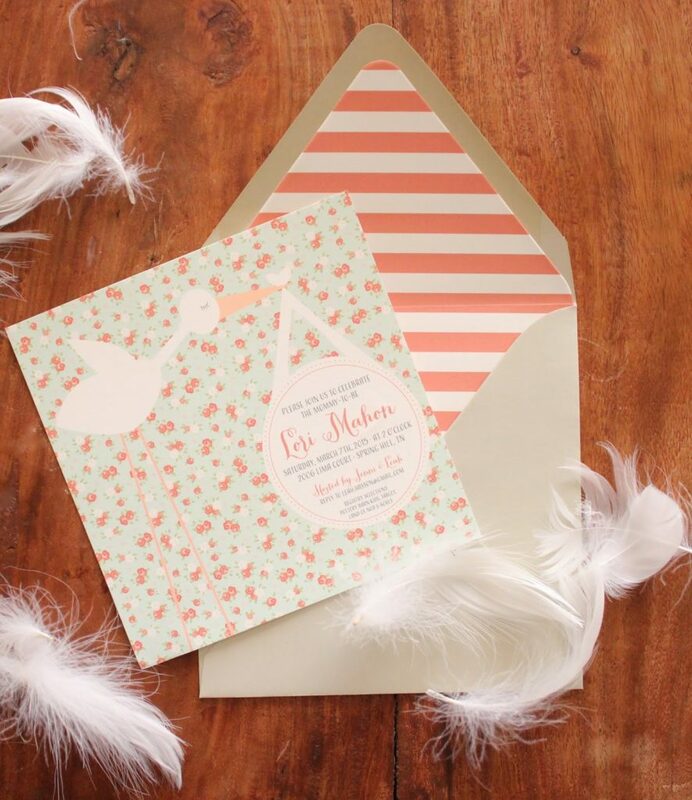 The invite…. beautifully designed and assembled by Lauren @ Rock Paper Scissors. She completely saved us and tied everything together with all of the printed goods you will see throughout the post. Leah and I scored with a major tulip sale from Whole Foods. 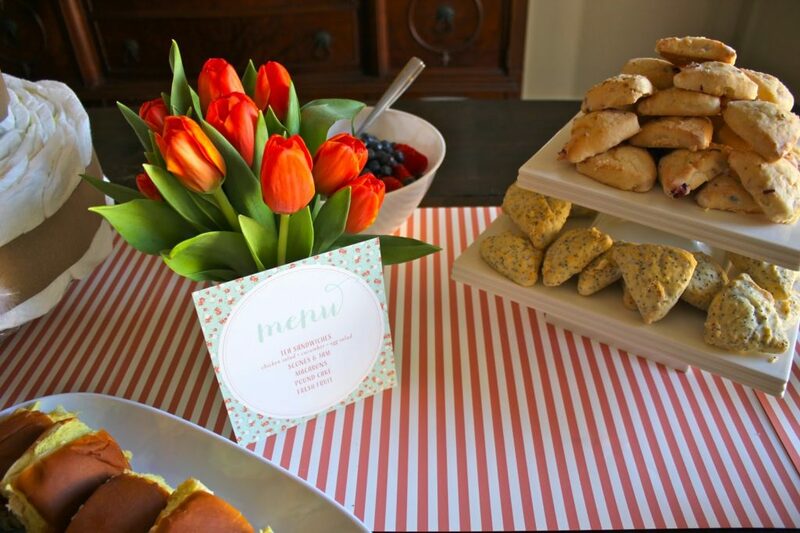 Tulips are our fav!!! 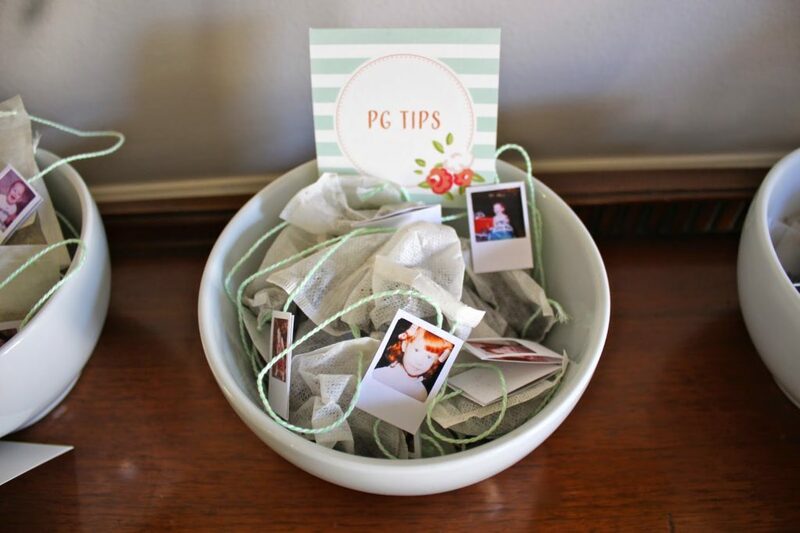 We used mini tin pails from the Target dollar section as vases. 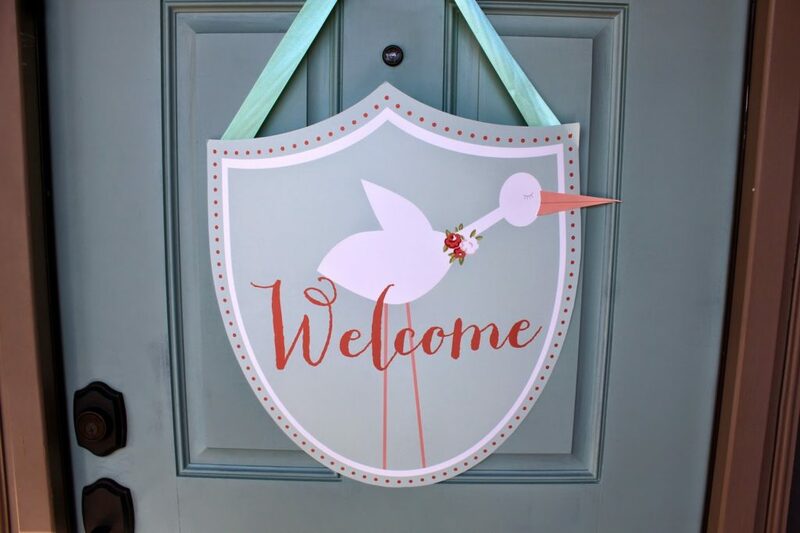 It was so fun to send Lori home with these beauties for her to place around her home! 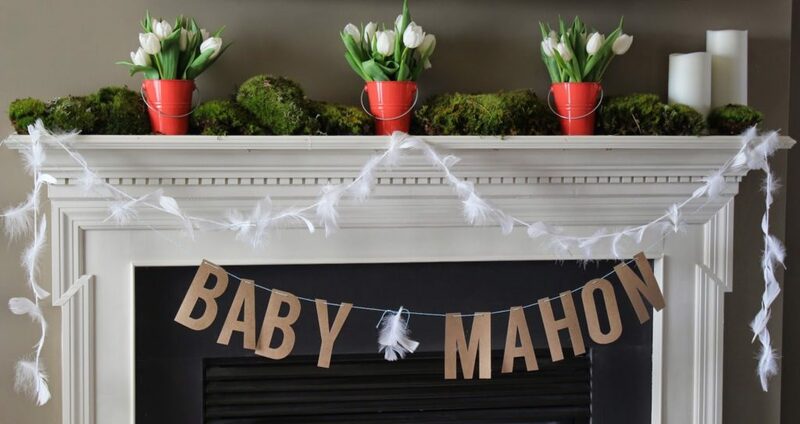 Just a little reminder of her special day and all of those that came to love on her and baby Mahon. 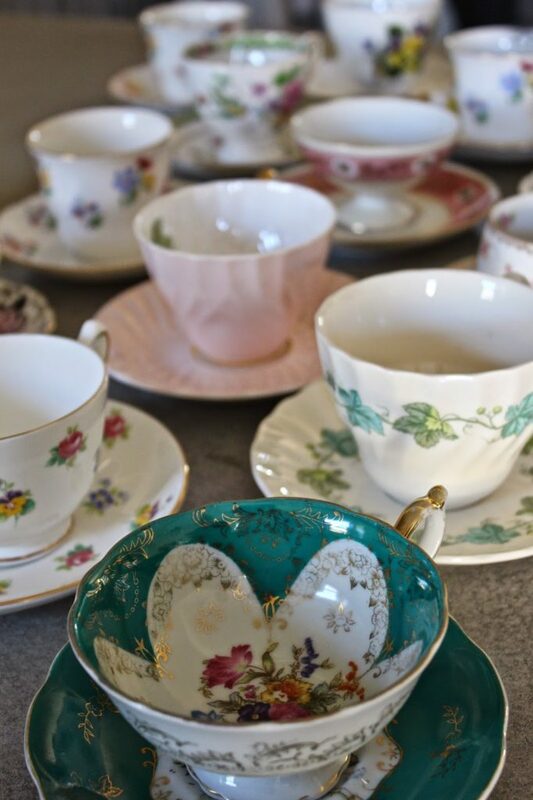 Leah and I gathered as many teacup sets as we could get our hands on! Thank God for thrift stores 🙂 I walked into a Goodwill near my home one day, and literally bought an entire table of teacup sets. They were just waiting to be used for this shower. 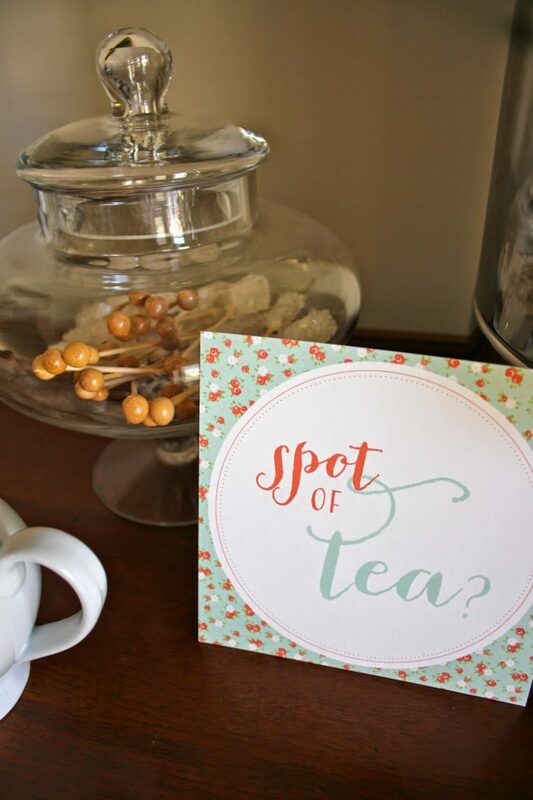 Nothing goes better with tea than sweets….duh! 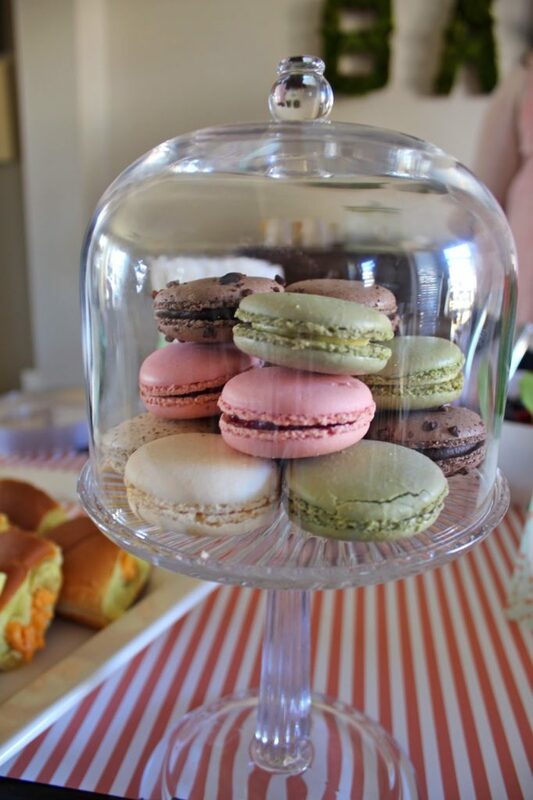 Poundcake, scones, macrons, and tea sandwiches were our food groups of choice :). These are food groups, right? Can we talk about that diaper cake? Leah did such a great job! 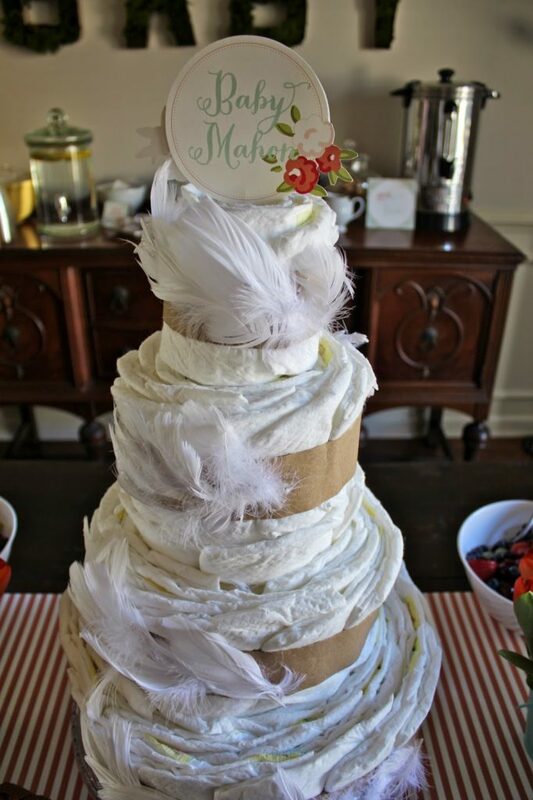 We always love a good diaper cake that coordinates with the shower theme. 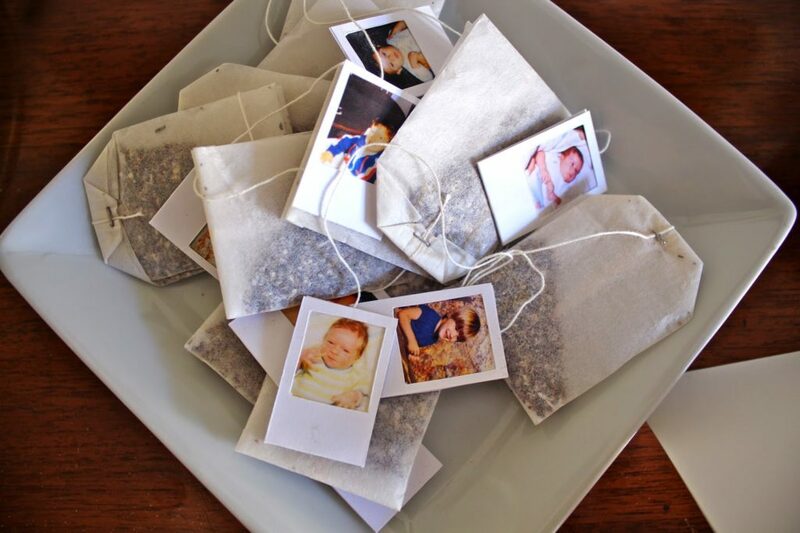 They make beautiful center pieces, and are totally practical for the mommy-to-be. We really want to get a tutorial up on the blog for you to see how we make our diaper cakes! 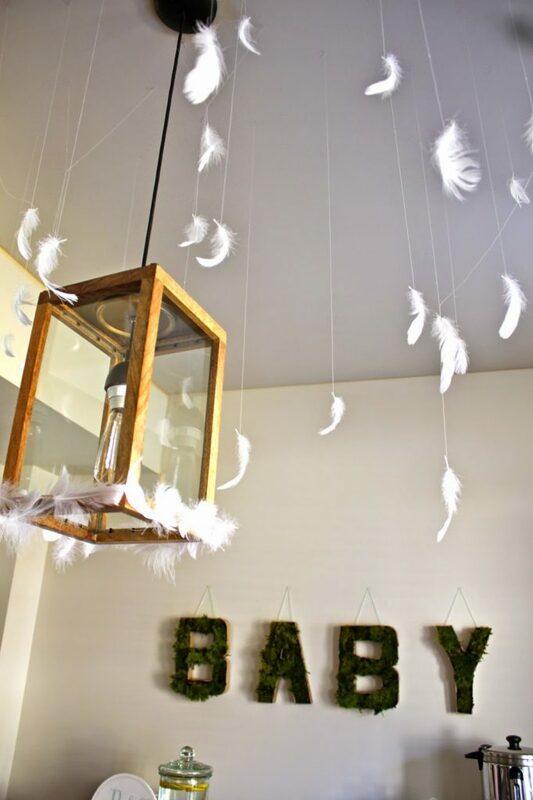 I ended up tying white feathers to aqua thread, and taping each feather to the ceiling and adding other feathers to the bottom of my light fixture to resemble a “nest”. 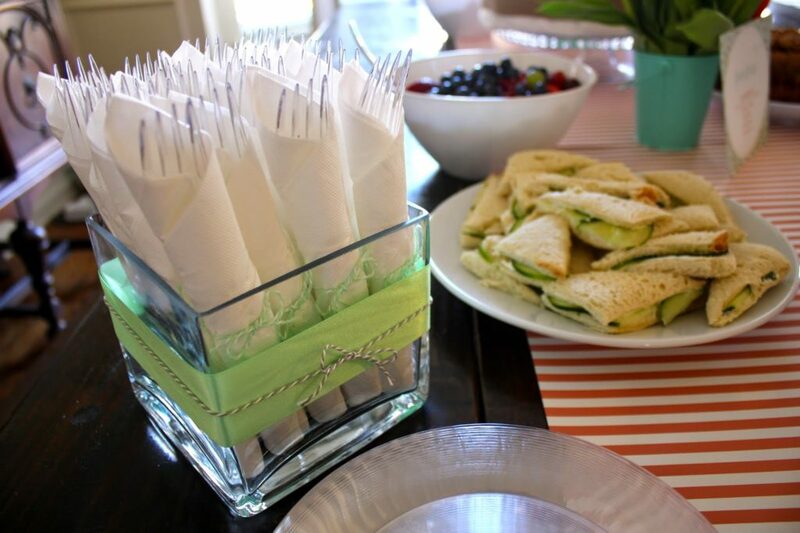 Again, a time consuming project, but it really made for a beautiful centerpiece above the table. 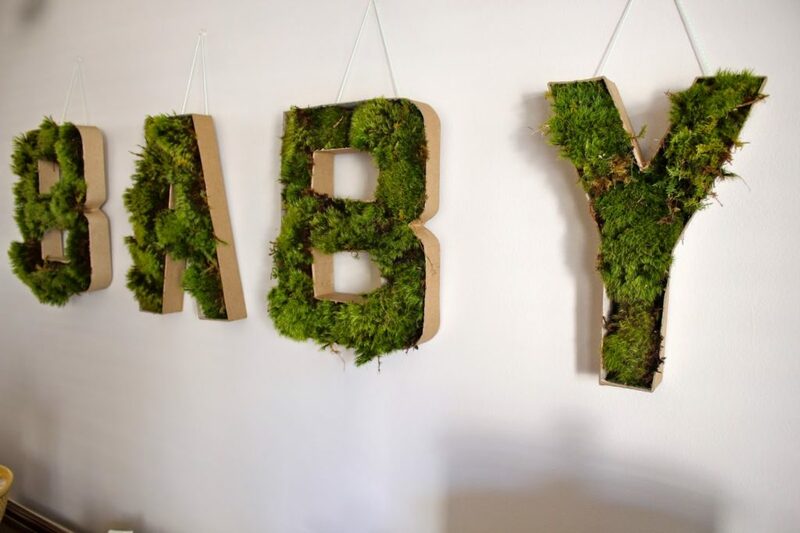 These moss letters were the perfect “springy” touch for our little tea party. I actually left them up for a week after the shower because I have an serious infatuation with moss. Why is it so beautiful?? I simply cut the tops of the letters off with an xacto knife, and just stuffed fresh live moss in there. It stayed beautifully, and took a total of 5 minutes! 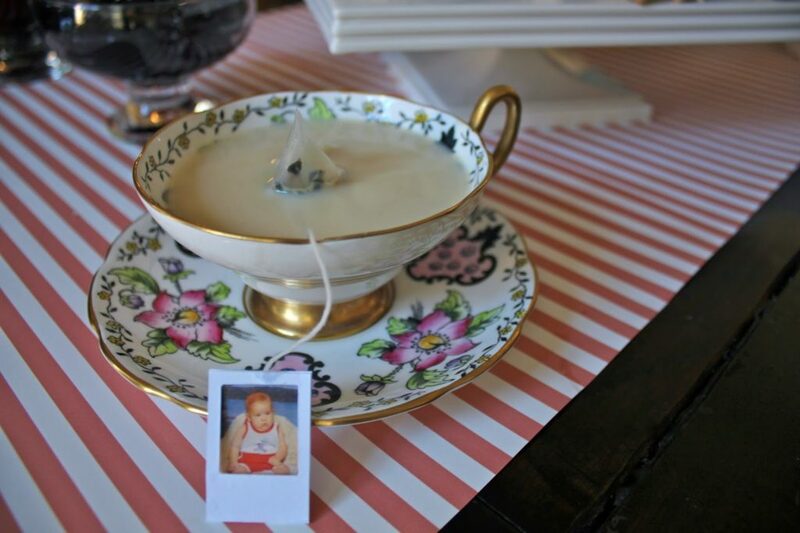 Our favorite tea cup find! Isn’t it lovely? Leah totally beat me to the punch when it came to who would get to sip from this beauty while socializing with guests. 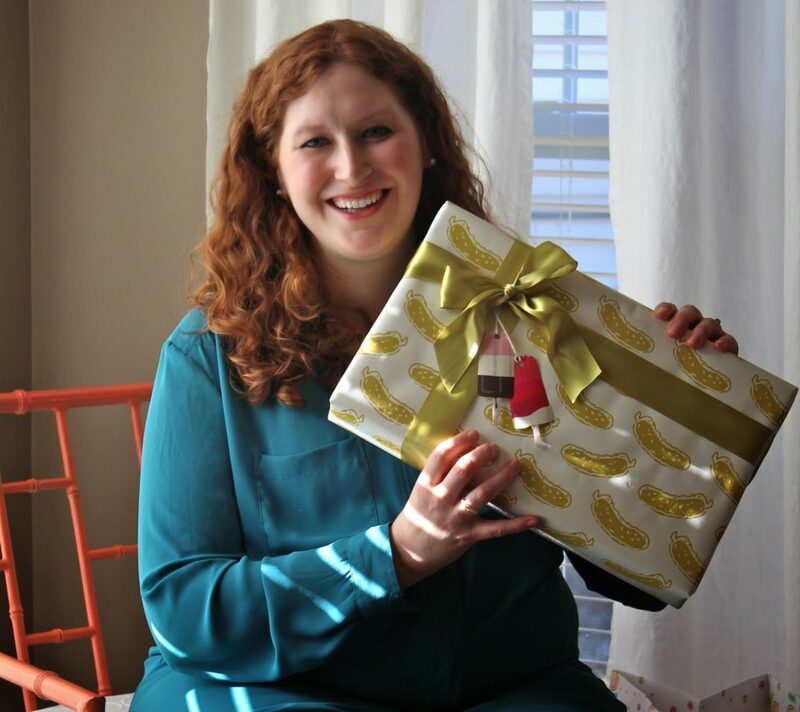 The absolute cutest “pickles and ice cream” wrapping job by our friend, Lauren! 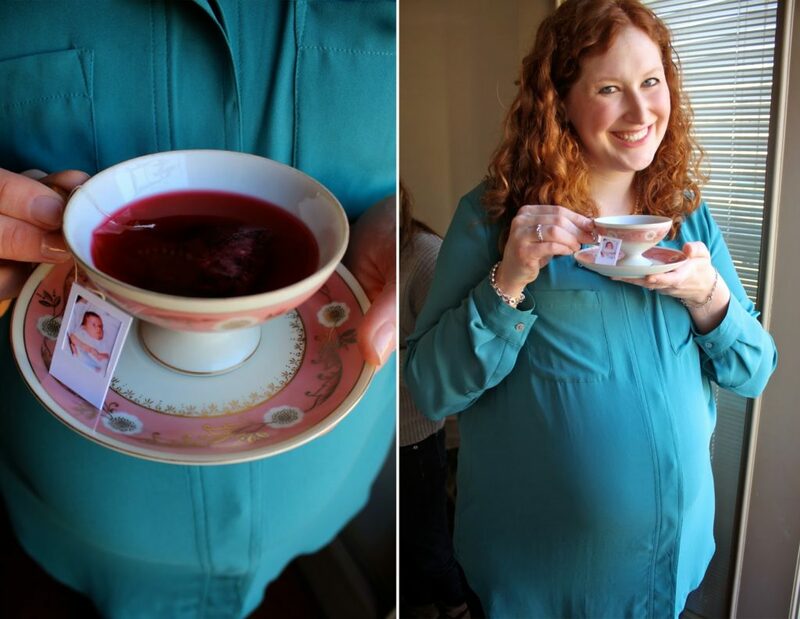 The stunning mama to be sipping her tea of choice… Tazo Passion tea with a baby pic of her sweet hubby on there of course! As guests said their goodbyes, we made sure they left with an “egg from the Stork’s nest”. 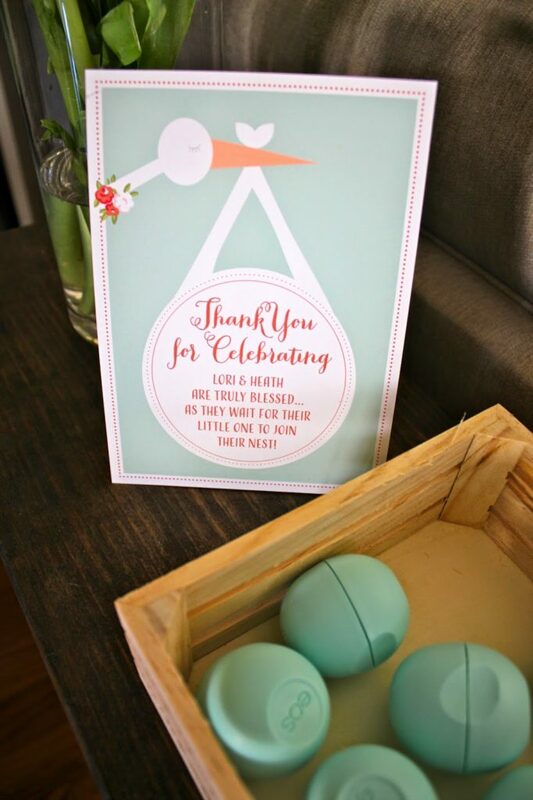 We purchased little EOS organic lip balms for each of them!